FAUSTA SQUATRITI was born in Milan (Italy) in 1941. Fausta Squatriti studied painting at the Brera Academy and began exhibiting drawings, paintings and engravings. In 1965 she entered the field of sculpture, producing polychrome objects in stove-enameled sheet iron, first exhibited at the Gallerie Pierre in Stockholm in 1968, and in 1969 in New York, with an introduction to the catalogue written by Gillo Dorfles. From 1963 until 1974 she collaborated with Sergio Tosi in producing a series of numbered editions of graphic work and multiples by great artists such as Man Ray, Max Ernst, Herbert Bayer, Lucio Fontana, Mark Tobey, as well as European and American artists who came to the fore in the 1960s (e.g., Jean Tinguely and Louise Nevelson, Pol Burry, Niki de Sainte Phalle, and Cy Twombley). For many years Squatriti supervised the graphic design and printing of art catalogues, books and posters for, amongst others, the lolas galleries in Paris, Milan and New York, the Hannover Gallery in London, and the Giacomo Manzu museum in Ardea. Towards 1970 she detached herself from the problem of the antithetical coexistence of the primary structure and its possible derivations, in order to better investigate the interior of the plastic structure itself. The materials were reduced to rust-colored iron and bright steel, its specularity being used as a constituent element of the image. 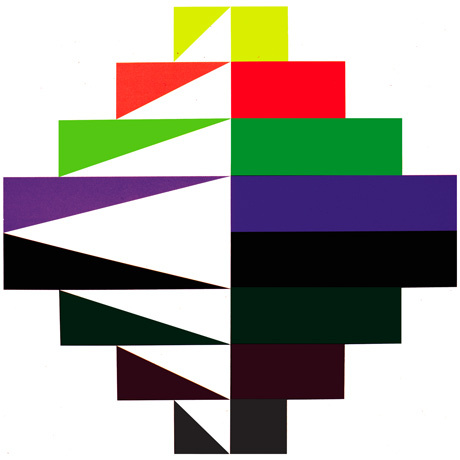 The starting-point was the geometrical module of the cube or other solids; their development was the analysis of the metrical relationship between an image and its contrary, the constant objective the value of absolute quality resulting from the simultaneous view of the full and the empty, demonstrating their identical entity in terms of vision. These sculptures were exhibited in 1982 at the Denise Rene gallery in Paris. In 1980 she resumed her publishing activity, this time on her own, with works of Man Ray, followed by those of Pavel Mansouroff, Anni Albers, and Michel Seuphor. In recent years her great commitment has been "Exacta." 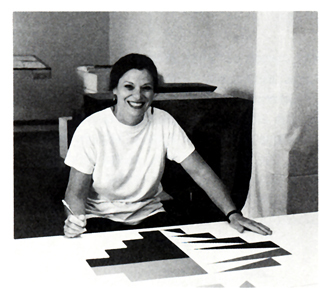 Since 1976 she has taught Special Graphic Techniques at the Academy of Fine Art of Carrara. Her graphic and other research is accompanied by a parallel literary activity: she has published a number poetry volumes, the latest of which is entitled La natura del desiderio (The nature of desire) Edizioni Vanni Scheiwiller, Milan. In 1986 she was nominated commissary for the Venice Biennial's exhibition "Colore."